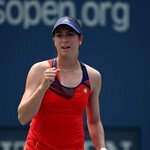 Christina Mchale is a professional American tennis player. Her highest WTA singles ranking is no. 24, and in doubles it is no. 111. 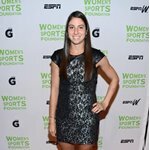 McHale has beaten numerous top WTA tour players, including two-time Grand Slam champion Svetlana Kuznetsova, Caroline Wozniacki (ranked world no. 1 at the time), 2011 Wimbledon champion Petra Kvitova, two-time Indian Wells champion and former top 5 player Daniela Hantuchova, and Wimbledon finalist Marion Bartoli. She has also defeated incumbent World No. 1 Victoria Azarenka once, in 2010. McHale was granted a wildcard into the main draw of the 2009 Australian Open, where she lost a three-set match in the first round to Jessica Moore. She received a wildcard into the main draw of the 2009 US Open, where she won her first career Grand Slam and WTA match by defeating Polona Hercog in straight sets. However, in the second round she lost to Maria Sharapova. In Boca Raton, Florida, McHale beat Asia Muhammad in qualifying. Soon afterwards, she earned a qualifying victory over Beatrice Capra for the 2010 French Open. She lost in the first round to Varvara Lepchenko. 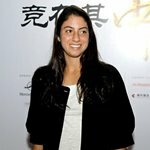 At The Kennedy Funding Invitational Tournament, she defeated Melanie Oudin in three sets, and Victoria Azarenka in two. This tournament raised $475,000 to support breast cancer care facilities. McHale received a $40,000 cheque following her performance. At the 2010 Western & Southern Financial Group Masters and Women's Open, McHale defeated Nadia Petrova in the first round and Ayumi Morita in the second. She then lost in the third round to the eventual winner and former world no. 1 Kim Clijsters. 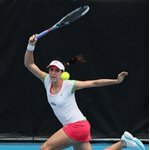 McHale kicked off her season with a straight sets win over Alexandra Dulgheru at the 2012 ASB Classic in Auckland. She lost to Svetlana Kuznetsova in the second round. At the 2012 Australian Open, she beat Lucie Šafařova in the first round and Marina Erakovic in the second, only to be defeated in the third round by Jelena Janković. She won both of her Fed Cup matches against Belarus in February, beating Anastasiya Yakimova and Darya Kustova. 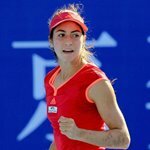 McHale then traveled to Doha, where she recorded wins over Chanelle Scheepers, Shuai Peng, and Shahar Peer, before falling to Agnieszka Radwanska in the quarterfinals of the 2012 Qatar Total Open. 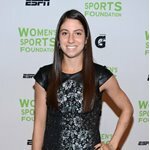 McHale opened March with wins over Elena Vesnina and Petra Kvitova after receiving a bye in the opening round, before losing to Angelique Kerber in the 4th Round of the 2012 BNP Paribas Open. 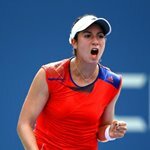 McHale wrapped up March with a win over Galina Voskoboeva, before going out to Petra Cetkovska in the 2nd Round of the 2012 Sony Ericsson Open.